The first guest is an american philosopher who danced in a Slovak folklore group. J. Feinberg talks about his field research of authenticity. The second guest, M. Hauser, will introduce us to the classical critique of authenticity by Adorno. Music by the folklore band Hornád and the Slovak punk ban Horkýže Slýže. Prepared and moderated by P. Šourek. HOW DO WE THINK ABOUT DRUGS? "Listen to the interview about attitudes on drugs and their history. What is the origin of the "drug" concept? How do drugs change societies? Who wants to control, take, or prohibit them? Petr Šourek from Rádio Wave discusses psychotherapeutic schools inspired by phenomenology. His guests were Petr Kouba - philosopher and the author of the book The Phenomenon of mental disorder, and a daseinsanalytic psychotherapist Pavel Pavlovský. The first Philosophical Café in 2019 hosted Petr Urban a Tomáš Hříbek from the Institute of Philosophy AV CR, together with David Černý from the Institute of State and Law AV CR. Enactivism and care ethics: Foregrounding the relational domain. American phenomenologist Burt C. Hopkins begins his four month fellowship at the Institue of Philosophy in Feburary 2019. He is best know for his work on the origins of logic in Husserl and Klein. He has also published on Heidegger, Derrida, Plato or Kant. Modern psychanutics includes experimental and theoretical approaches to the use of psychoactive substances. It is related to import, manufacture and study of psychoactives in western culture from the end of the 18th century till today. Beginnings of theoretical psychonautics start around the half of the 19th century and continue in several distinct phases until the contemporary psychedelic rennaissance. Each of these phases is connected with different substances: opium and hashish, nitrous oxide and mescalin, psilocybin and LDS, etc. The use and reflection of such substances is closely connected with the development of modern art and literature, but it is also connected with science, especially with psychology, psychiatry, philosophy or anthropology. In this context, psychonautics emerged as a specific genre between science, literature and art. The lecture will present some key moments, works and personalities of psychonautic research and will reflect on the relation between drug experiment and modern culture. and the spekaer of the community centre Clinic. "It is the reason why we chose civil disobedience. To push state institution to tell us what values, aims and grounds are their decisions based on. We want to know what will happen to the property of the city we live in. Everyone should have the right to participate in the city's development." Philosophy and art in public interest. The interview is on pages 14 - 16. The discussion will concern the thin line between normality and mental illness, and reflect on the changing paradigm for difficult mental states and the care of those who suffer from these states. 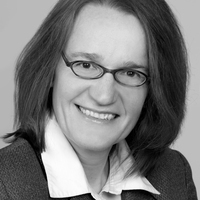 IVANA ŠPILLAROVÁ, the member of the working group at the Center for Mental Health in Brno, the author of the qualitative research of long-term psilocybin experiences. JINDŘICH JAŠÍK, the author of the autobiographical book The road from schizophrenia. VÍT POKORNÝ, philosopher, the author of the book Psychonauticon: transdisciplinary interpretation of psychedelic experiences. The Moral Life of Public Institutions. regarding the relation between theatre, cultural heritage and cultural institutions in the frame of contemporary socio-cultural situations in Visegrad countries. at the Theological Faculty of the University of South Bohemia in České Budějovice. Video recording of the Vít Pokorný's lecture at the international conference Beyond Psychedelics 2018 held in Prague, in June 2018. An article in Lidové noviny wrote by Martin Rychlík about Petr Urban and the conference Integrity and ethical culture in public institutions reanimates the old question about the relation between philosophy and state. Institute of Philosophy organized a conference concerning the development of ethical culture in public and state services. The conference hosted the leading scientific authorities in the field of corruption and service ethics research. A short conference review in czech can be found here. 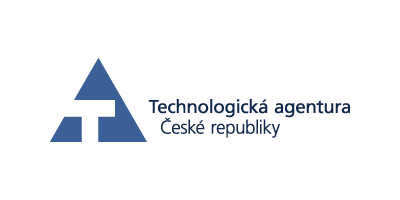 The conference was part of the research project awarded by the Czech Technological Agency. whose principal investigator is Peter Urban. Where to look for Emily Bront'e in czech translations? On the Wuthering Heights – undeniable confession of romantism? Modern psychonautics is an experimental and theoretical endeavor connected to the use of psychoactive substances. It is closely related to the import, production, and study of these substances in the West, starting in the 19th century until the contemporary psychedelic renaissance. Each phase of its history connects with different substance: with opium and hashish, nitroux oxide, cocaine, and mescaline, or psilocybin and LSDj. Use and the subsequent reflexion of these substances are intimately related with the development of modern art and literature since the times of romantic poets. But it has also penetrated social sciences, such as psychology, psychiatry, anthropology, or philosophy. Writing about drugs has developed into a specific genre at the boundaries of science, art, and literature. This lecture will introduce the basic phases of psychonautics, its main characters, and works, and will reflect on the relation between modern culture and drug experimentation. In his last book, Timothy Snyders proposes several simple steps how to resist manipulation in politics. These steps include respect to institutions, resistance to the atomization of society, or building up one's self-esteem. Such goals can be attained, for example, by formulating and realizing the principles of sustainable, happy, prospering, and supporting life. These principles also include the ability of distance. During his stay, he will work on the translation of the second part of Hume's Treatise of Human Nautre, write about Hume, and about Husserl's early theory of intentionality. The conference was organized by our department in November 2017.
in cooperation with the Philosophical Association Praxis. John Locke ones defined human identity by the ability to intentionally remember the past. There is, though, another type of memory whose inquiry relates more to literature than to philosophy ( it became the main principle of Marcel Proust's novelist aesthetics): involuntary memory or affective memory in the broadest sense). We will examine three authors who, each in his own way, contributed to our comprehension of this type of memory: J. J. Rousseau, M. Leirise, and B. Hrabal. We will emphasize that writing about oneself as practised by these authors does aim not only at finding a memory of immediate past, but also at uncovering one's identity in the strong sense. All three authors are thus part of the tradition that M. Foucalt in his late seminars called by the ancient term parrhésia. Experiences induced by psychedelics disrupt our familiar everyday knowledge of the world and open the dangerous hallucinatory space. Yet, many researchers today consider the therapeutical potential of psychedelics. What are the dangers and benefits of psychedelic experiences? How can they enhance our everyday existence? by Lasha Matiashvili from the Tbilisi State University in Georgia. Workshop is organized by the Institute of Philosophy and the Austrian Science Fund. 3rd of March, 2018 at 10:00 a.m. The workshop will simultaneously translated to czech. In the workshop, we will read text from the field of critical social theory, or critical feminist theory of race. We will also watch movies and analyse social media in an attempt to understand the nature of intercultural communication strategies. The event takes place in the conference room of the Institute of Philosophy, on the first floor at the addresse Jilská 1. The National Theatre: a guardian of the Czech national heritage and a sovereign space for free artistic production: is it an unattainable paradox or a promising provocation? How to achieve such unity in contemporary political and social situation? How do we understand our cultural heritage today? What part of our heritage should be adopted, actualized, made apparent, or reinterpreted by art? What kind of historical memory induces emotional response, gurgling and fermenting in us? How to cultivate these emotions in art? How to think about them? Which things in our past influence us to such extent that it is better to neutralize their implicit power? Do we need a national self-assurance in the form of identical repetition of the past? Do we need to disrupt our cultural stereotypes and transform through art? What do we get and what do we lose? What kind of future are we going to create? You are cordially invited to participate in the evening discussions with professionals in the field who won’t take over but rather initiate a common debate on these topics. Come and help us to understand the mission of the National Theatre,and the cultural space of the Czech Republic in the 21th century amidst the changing socio-political milieu of contemporary Europe. The planed time for the discussion is 90 minutes. How do traumatized people respond to egregious harm? Revenge killings are understandable, but what if instead they set up tribunals to investigate the truth and grant amnesty to those who have confessed participating in committing outrageous atrocities? The global human rights community applauded the successor regimes in South Africa and Rwanda for taking the high moral road and involving lay persons in truth and reconciliation proceedings. My paper analyses critically claims of restorative justice and epistemic oppression. The team composed of A. Koubová, J. Hvorecký and P. Urban was awarded financial support to realize the grant project: "Tools for the development of ethical culture in the Czech state administration." Grant's budget amounts to cca 6,2 mil. CZK and will be ralized in 2018 - 2021. 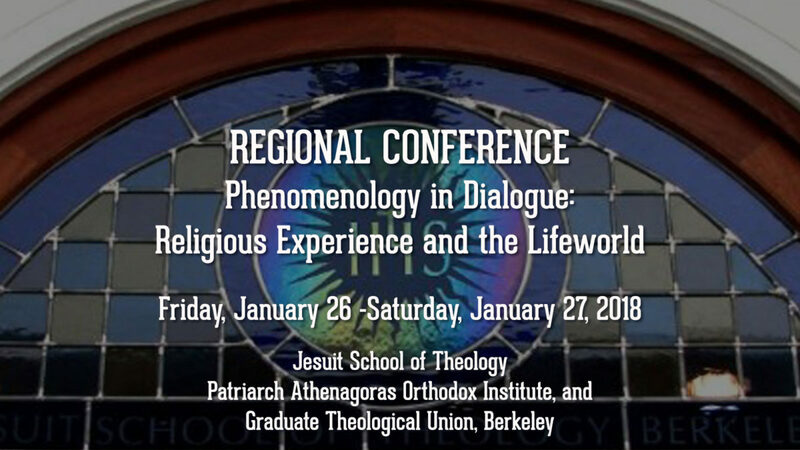 The conference was organized by the SOPHERE: Society for phenomenology of Religious Experience. The publishing house Pulchra published another J. Pechar's book on the relationship between literature and philosophy. The relationship between thinking and imagination is of fundamental importance both to literature and philosophy. The new book by J. Pechar, aesthetician, theoretician of literature, philosopher, and translator, interprets a Czech view of the relationship between philosophy and literature in the context of the world literary thought. Pechar’s considerations draw on both on particular literary works and authors, be it Dante’s Divine comedy in the context of medieval thought, Goethe in the context of cultural synthesis, or Tolstoy’s and Dostoyevsky’s novels in the context of the dramatic aspect of individual and social life. One of the chapters takes the works of Marcel Proust as an opportunity to contemplate on timelessness together with problem of the self-constitution. The passage dedicated to Freud’s interpretation of dreams and early childhood memories is further expanded by the interpretation of the role that the analogy of dream and life has played in some literary works. Pechar also considers the relation of Christianity and faith in the context of some of J. Patočka’s ideas. Individual parts of the book connect literary interpretations with reflections of European history, taking special interest in the history of Czech nation and discussing the fight on the meaning of the Czech history. The publishing house of the Faculty of Arts, Charles University in Prague presents J. Fulka's book about the sign language and deafness. J. Fulka, philosopher, theoretician of literature, and translator interprets mainly philosophical texts thematising, in one or the other way, the problem of gesture and sign language. The introduction deals with methodological difficulties indispensably pertaining to such project, namely the complicated relation between gesticulation and a sign language. Until the 19th century both domains remained united, their separation only began with the independent development of sign language linguistics in the 20th century. The first two chapters explain the two western paradigms in the comprehension of deafness and sign language. The privative paradigm defines deafness as a deficit, while the second one explains it as a type of difference, that is, as an altered type of communication and perception. 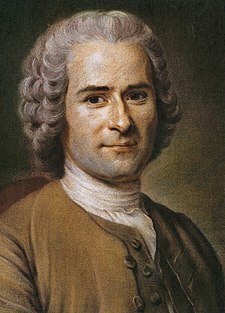 The third chapter analyses genealogy of language in the works of Rousseau and Condillac. The final chapter explicates the relation of gesture and language in the philosophy of M. Merleau-Ponty. The October revolution aided capitalism to adopt more human attitude, claims philosopher Hauser. "It seems to me that the 100th anniversary brings back the idea that the October revolution aided capitalism in adapting more human attitude. I percieve it as one of the important issues of the October revolution." "We simply need a historical distance. As it is already one century since the revolution, we don't necessarily need to interpret it just as an outset of the totalitarian regime which is quite suspicious concept in its own terms." "If there really was a radical revolution in the twentieth century, than it was this one since it succeeded in the complete social transformation. It did not happen anywhere else. The change the revolution brought about has also been historically unique. A new type of society has emerged, a society, at least during the first fifteen years, where social classes as the pre-given economical compartments ceased to exist." a summary of his relationship to philosophy. "Philosophy and the reading of philosophers are individual and creative, similarly to art." "Philosophy entails thinking face to face critical situations and serious theoretical questions... It goes under the surface and can influence you in the same way as great literature or poetry." "We need to understand that thinking outside Europe needs decolonization. And we also need to decolonize our own thinking, to open ourselves to the challenges of the intercultural dialogue and social conflict of our era." In 1958, the Czech Lutheran priest and hussite theologian Josef Hromádka published the book Evangelium für Atheisten as an attempt on a synthesis of Christian doctrine and social ethics with explicitly anti-religious communist dogmas. Atheism conceived as a form resistance against the power of the state and religion has had a long tradition in Czech Republic, but during the era of real socialism the anti-religious attitude turned into the state politics. Nowadays, majority of Czech citizens considers themselves to be atheists while they simultaneously believe in some form of transcendence. Is it possible to unite such contradictory positions? Participants of the trilateral (German, Czech, and Austrian) symposium will discuss faith and disbelief in post-religious and post-ideological society. M. Hauser’s speculative introduction, in the form of a fictitious dialogue between Luther and Lenin, will ask following questions: What is the character our present era? What would Luther and Lenin say about our times and ourselves? How would they understand our present times? Vít Pokorný and Facutly of Arts, Purkyně University Ústí nad Labem present the lecture about the philosophy of media. Media are an integral part of human civilization from its beginnings. They are tools of communication, and of the shared constitution of human live worlds. As technological tools, media extend and transform our existence on the psychological, social, political and cultural levels. Since the invention of the scripture, the power and influence of media has changed several times: with the typography, telegraph, radio or television, the new forms of communication have arrived, and the new forms of social organisation and political power with it. all-encompassing mediality of the global digital age? How does the situation of citizens of the global internet village differs from the situation of previous eras in the history of meida? "Trump is a Nemesis of the liberal democrats"
M. Hauser says in the interview, among other things: "Populism is, so to say, a attempt to reinstate the fundaments of liberal democracy in the times of its crises"
the relation of performance and philosophy. A new member of the Department for Contemporary Continental Philosophy, the philosopher from the Universiteit Antwerpen Geoffrey Dierckxsens publische his new book with Rowman & Littlefield. 2) In 14. - 15. 11. 2017, Michael Hauser and col. organize the 1968- 1989: Paris - Prague conference. Our colleague M. Ritter will spend the autumnt of 2017 as a research fellow at the IKKM (Internationales Kolleg für Kulturtechnikforschung und Medienphilosophie ath the Bauhaus Universit'at in Weimaru. Alice Koubová lead an intesive course called: "Once again: the Self! On subjectivity in theatre and performance art". The course was organized at the Theatre Academy of the University of Arts in Helsinki. Holidy photo: This statue was the Russian gift to Finland in 1989. 2) The audio interview with the Performance Philosophy Prague 2017 co-organizer Alice Koubová on the Czech Radio webiste. 3) Non-traditional conference between philosophy and artistic action. H. Janoušek a P. Urban succesfully participated in the Jindřichův Hradec 1/2 marathon. the conference on phenomenology and ecology. Petr Urban participated in the fourth biennale dedicated to the philosophy of Edith Stein. The event was organized by the International Association of the Study of the Philosophy of Edith Stein (IASPES). on the origins of phenomenology. The conference was organizsed by the North American Association for early phenomenology (NASEP). Michael Hauser took part in the international conference on G. Lukács, worldly renown marxist philosopher who had been uniting philosophy and political praxis throughout his work. One of the motives to organize the conference was recent removal of his statue in Budapest and intended shutdown of his archives. Once again, Lukács is perceived as troubling, this time in Orbanian Hungary. It was probably one of the biggest conferences on Lukácz in the last fifty years. Organizers were counting on fifteen applications, but in the end they got about one houndred. Especially the younger generation of scholars was interested, for instance a strong Brazilian group. There were also five people from the Czech Republic and three from Poland. Many presentations focused on the contemporary partision of theory and praxis, and consequent disintegration of the social theory into dissociated detailed analyses of tiny chunks or reality. 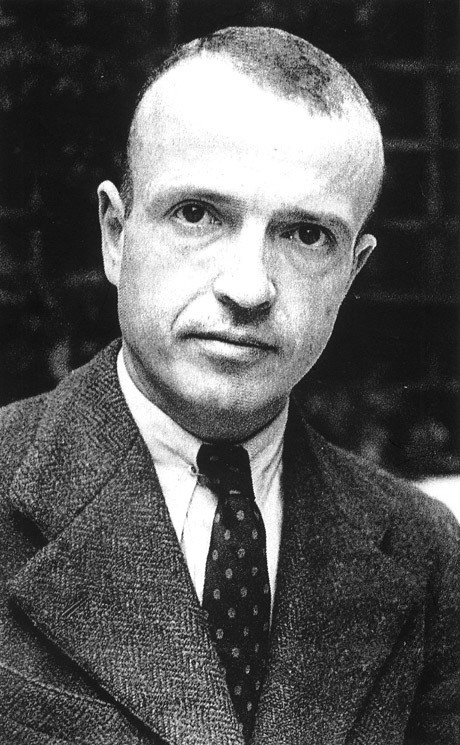 Alson, a lot of critique of the contemporary radical theories (post-marxism) was aired, in the sense that they show tendency to separate leftist politics and economics, and create an abstract radikalism without actual political strategy that would encourage the ways how to stand up to the rightest populism and neoliberal capitalism. The Martin Nitsche's new book Metodická přednost spleti was published by the Togga publishing house. The main goal of the book is to present a transitive-topological model of phenomenology that can describe the intertwined phenomena and explain how humans relate to them. The intertwined phenomena appear in such a way that they encompass the one to whom they appear. In this manner, they establish a complex relational structure that is characteristic of most of the human experiences at the start of the 21st century. The fundamental point of the proposed model is the interpretation of intertwined phenomenality as a specific area, and recognition of its methodological precedence. Our ability to find sense and place in complex times in necessarily linked to acceptance of complexity as the point of departure for our thinking. The book‘s secondary goal is to present phenomenology as a philosophical discipline that thinks „scopically“, emphasizing transitivity and localisation. From this perspective, the book also suggest a methodological reflection of phenomenology that faces discussions about its naturalization, or attempts to belittle its meaning by the newly awakened speculative realism. Petr Urban held a course on phenomenology and ethics of care at the University of Mumbai, India. The course aimed at introducing students, teachers and research scholars to phenomenological debates in ethics, embodiment and language. It endeavored to examine the relationship between phenomenology and care through intersection with enactive ethics and feminism. From 9th to 10th of March, 2017, Alice Koubová will participate in the international colloquium dedicated to the topic of Human Wars at the Université Paris Nanterre. Department of Contemporary Continental Philosophy of the Institute of Philosophy, Academy of Sciences CR kindly invites to the lecture of dr. Thomase Szanto from the Center for Subjectivity Research, Department of Media, Cognition and Communication at the University of Copenhagen. 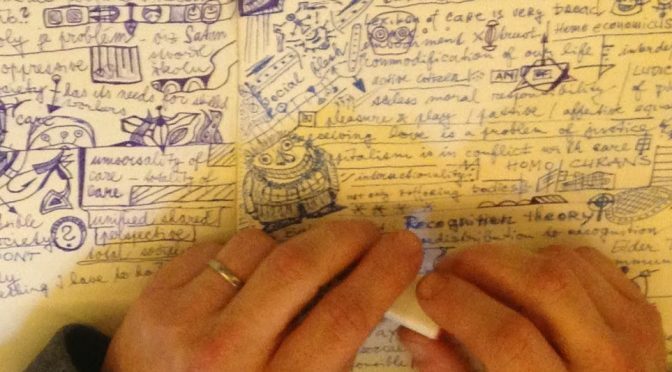 Petr Urban recapitulates his philosophical carrier and the path towards the ethics of care in the interview titled Practice of care and practice of play. The summer school is co-organized by the Institute of Philosophy of the Academy of Sciences of the Czech Republic (Hynek Janousek, Robin Rollinger), the Departement of Philosophy at UQAM University in Montréal (Denis Fisette) and the Department of Philosophy (KGW) at the University of Salzburg (Johannes Brandl, Guillaume Fréchette), and is sponsored by the Social Sciences and Humanities Research Council of Canada, the Academy of Sciences of the Czech Republic, the Czech Science Foundation (GACR), the Austrian FWF, and the Internationale Franz Brentano Gesellschaft e.V. (Würzburg). Hynek Janoušek and Robin Rollinger have published a chapter titled The Prague School in the Routledge Handbook of Franz Brentano. Martin Nitsche, who was a visiting Fulbright scholar at the UCLA, Department of Political Science in 2017, will present his lecture on a controversial theme at the University of Hawai: "What Can Late Heidegger Offer Political Theory?" How do we write grants?